Why is there a 20% catering service charge added to full service events? This fee covers all the front end and day of the event costs such as time spent on phone calls, emails, site checks, packing in and out, and use of platters, utensils, and buffet décor. We find it easier for the client to add a percentage to the bill rather than charge ala carte for every little thing. Will Jennifer personally be at our event? Jennifer over sees all aspects of all events from the kitchen/office. She will most likely be at the larger weddings and events, the events were she is not present will be staffed with an excellent party manager and chef, along with servers and bartenders. All of our staff have a long history with us and have proven their commitment to both excellence and customer service. ​Our staff dress for the event; For more formal events, they wear black pants, white long sleeve shirts and straight ties. For more casual events, your choice is black or khaki pants and short sleeve white polo type shirts. Is gratuity for the staff included or expected? ​The gratuity is not included, it is always appreciated for a job well done. It can given in cash or added on to your credit card. The average tip per staff member is $25-$100 each depending on the type of event and level of service required. Can we cut down on staff to save some money? ​Jennifer knows how many staff are needed to make your event an amazing success. She books the perfect number of staff for your event based on the conversations you have and the vision you have. Why are there no prices listed on the web site? Each job is custom and there are many variables in pricing, including; The number of guests, the rentals needed, staffing, full service or drop off/ pick up. Food prices vary from month to month, our focus on Farm to Table creates seasonal menus with variable pricing depending on availability of the food items. We are happy to provide a proposal based on your needs and budget. It helps us to know your budget up front so we can prepare the quote that is the best fit for you and guide you about what is possible and the different options you have at your price point. What do the buffets look like? All of our buffets are custom decorated to match the style or theme of the event. We use risers, fluff, flowers and leaves to make an attractive buffet. If possible we stay away from chafing dishes so we can use the beautiful array of platters and serving pieces we are known for. Do you offer tastings for weddings and events? ​Once we have a signed agreement to work together and a deposit for the event we are happy to offer a tasting. 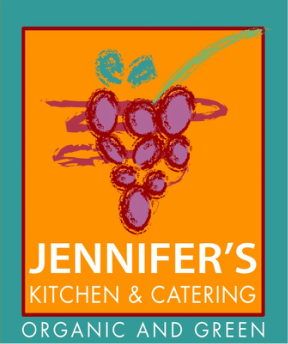 Because we are providing the best locally sourced farm to table ingredients; a tasting in July won’t translate to an event in December, but you will get an idea of the quality and attention to detail Jennifer is known for. Why is tax added on to labor and rentals as well as food? ​The law in the state of California requires this and while we don’t agree with it we must follow the law. The State Board of Equalization has instructed us that we must tax labor, rentals, and food.